This adjustable sterling silver ring features two overlapping solid silver bars that sit flush to the finger for a bold, uncomplicated look with serious wow-factor! 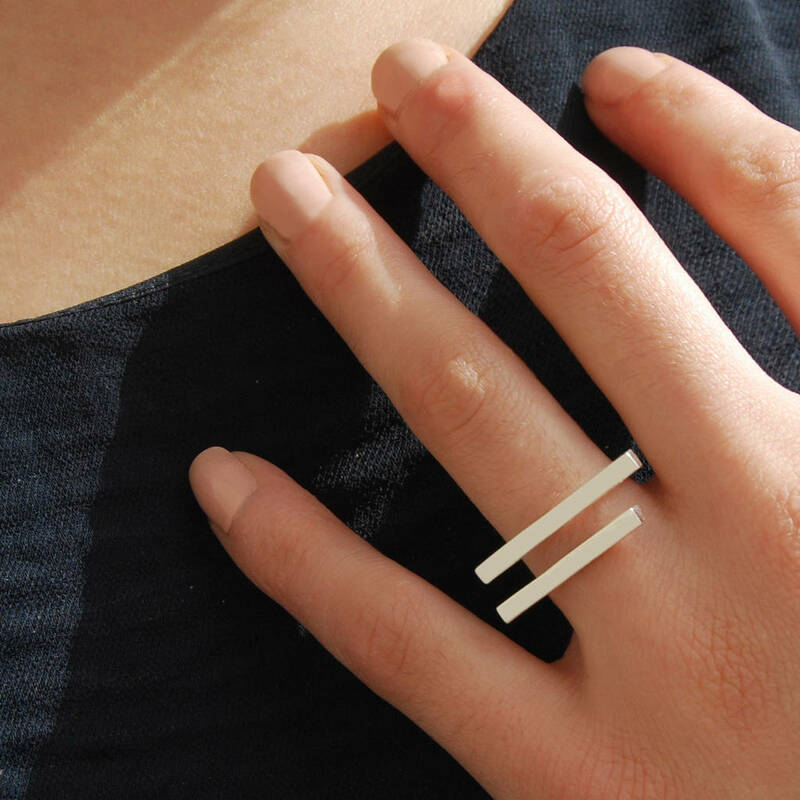 The clean lines and simplistic design of this ring make it a versatile everyday piece you can wear again and again! 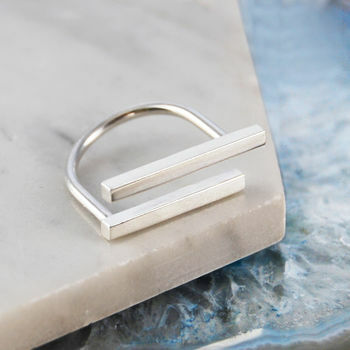 All Otis Jaxon jewellery is designed and assembled in the UK. Otis Jaxon use only exceptionally high quality sterling silver, 18 carat gold and fresh water pearls in our designs. We have for many years worked with the same small team of craftspeople who are directly employed by our company and all of whom we know on first name terms. 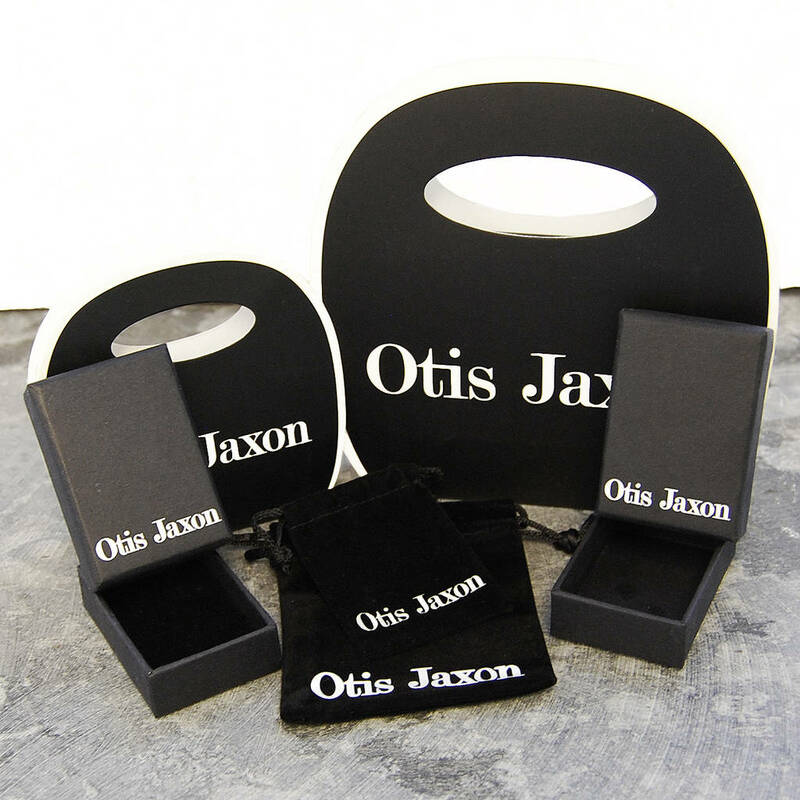 All Otis Jaxon pieces will be beautifully presented in our signature branded packaging. To keep clean we recommend using only a specialised silver polishing cloth. Never wear silver jewellery when swimming or bathing. This product is dispatched to you by Otis Jaxon.